As very sensitive receivers of energy we also feel more subtle vibrations that carry information. For example, when someone approaches you with a smile but you feel like retreating you could be feeling a “vibration” of danger or deceit in your emotional body. You are effectively feeling the true intent of that person through frequency emanations of their energy field. So vibrations can convey messages, and can be a form of information. Vibrational Medicine is the use of frequencies of sound, color light or frequency-specific microcurrent for healing purposes. Vibrations can also be instilled into medicines, such as homeopathic remedies. Vibrational Medicine can produce remarkably effective results to rapidly relieve pain, ease depression and anxiety, boost vitality and rejuvenate aging facial muscles. All of these methods work through the principle of resonance. That is the ability for a vibrating energy field to harmonize or boost another energy field. Red light, for example, can boost the function of a sluggish kidney, helping a person to feel more healthy and energized. Frequency-Specific Microcurrent: Microcurrent therapy is an ideal way to bring frequency information into the body. Microcurrent has been demonstrated to promote tissue healing after injuries, relieve pain and promote lymphatic drainage. These physiologic effects, combined with the transmission of vibrational information, account for the great effectiveness of this modality. This all works because of the powerful resonance between colors and the energy chakra system. Each of the seven major chakras in the body dominate, energize and help regulate major Organs, glands, nervous plexi and an aspect of feeling, emotion and spirituality. In our research we have found that the addition of color therapy to microcurrent and/or acupuncture boosts treatment effectiveness and extends carry-over of treatment results. Sound Therapies: The Old Testament of the Bible is full of references to the awesome power of sound. “In the beginning was the Word and the Word was with God and the Word was God”. These and other passages allude to the creative power of sound. Another Bible story tells how the Israelites caused the walls of the city of Jericho to crumble by pounding drums and playing trumpets. Almost all religious and spiritual traditions use sound power through chanting, drumming, singing or special musical instruments. It is said that the Indian sitar and tabla instruments were designed to simulate the inner sounds yogis heard in deep meditation. These show how the ancients respected the power of sound. In modern times sound healing is used for treating depression, boosting the immune system, lifting workplace morale and much more. Microcurrent (usually used in very low frequency level range of 0.1 – 1000 Hz): relieves pain, lifts and rejuvenates the face and body, speeds wound healing, provides effective non-needle acupuncture treatments. When specific microcurrent frequencies are applied that target dysfunctional organs, systems and conditions it can also produce a wide gamut of remarkable health improvement effects. Sound (middle frequency range of 20 – 20 thousand Hz): Reduces stress, balances brain hemispheres, cleanses negative emotions, removes energetic blockages, stimulates immune system, stimulates sluggish circulation. Color Light (highest frequency range of 430 trillion – 750 trillion Hz): Helps regulate autonomic nervous system, powerful effects on mood, affect and emotional states, direct effect on endocrine hormones, good adjunct to spiritual/soul healing practices. My colleagues and students and I have extensively experimented with various therapeutic combinations of microcurrent, light and sound. We have confirmed that the simultaneous application of all three of these levels of vibration can produce very positive clinical results. I have designed the Microlight Probe System that applies microcurrent and any of 12 colors of light at the same time. The PNE Balancing system I have developed for treating emotional disorders includes guided sound toning while Microlight therapy is applied to their chakra energy centers. I have witnessed many patients shift from a negative, fearful state to a more open and empowered one within a 15 minute PNE session. The fastest route to success in clinical practice is to demonstrate consistent, highly effective treatment results. This is what people with chronic issues really want, and don’t often find. 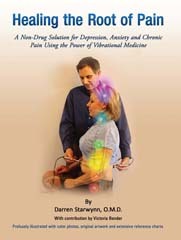 The following Vibrational Medical services provide superior results with little to no downside. They are also very inexpensive to administer and have high patient acceptance. 1. Pain Relief with Microcurrent Electro-Acupuncture – Traditional acupuncture has earned a well-deserved reputation for effective pain relief. 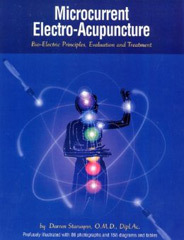 Microcurrent electro-acupuncture takes the pain-relieving results of needle acupuncture to a whole new level. How does it do this? Putting acupuncture “on steroids” is accomplished through the use of specific frequencies, current modulations, added color light and Yin-Yang balancing polarities. All of these factors can speed results, provide for better whole-body balancing and improve carry-over of results. 2. The Ideal Weight Program™ – Considering that at least 70% of Americans are overweight or obese, and that obesity is a major aggravating factor for all killer diseases, it is clear that better solutions are needed. An acupuncturist and former psychiatric nurse from Minnesota named Debi Weiss has developed a multi-faceted program for weight loss and lifestyle medicine called the Ideal Weight Program. The centerpiece of this system is the use of frequency-specific microcurrent over belly, thighs and other fatty areas. A series of 12 sessions also includes detoxification of key organs, ph balancing, color therapy, exercise and self-hypnosis CD’s. The Ideal Weight Program is taught several times a year at East-West Seminars events. Debi instructs students how to approach medical physicians in their area to offer this form of Therapeutic Lifestyle Change (TLC) to their patients. The federal government has mandated that MDs put patients with diabetes and high cholesterol on TLC programs prior to putting them on long-term medications, so this is a good business opportunity. also providing an improvement in overall well-being. ELR can provide whole-body benefits with facial rejuvenation because of the meridian connections between the face and all internal organs. When appropriate colors of light and frequencies of microcurrent are applied to the acu-points of the face a two-way communication is stimulated. ELR clients enjoy rapid rejuvenation of their faces and, in many cases, other rejuvenating effects on the body. Reported “side-effects” have included weight loss (without any special dieting), pain relief, relieving fatigue and depression and improved attitude and affect.